Dont worry I have been slowly making reviews, tutorials and been taking photos but Im just so tired that I havent been able to edit and such but I will make time for them hopefully soon! I did manage to make mini review on this lip balm that Ive been using alot since the cold weather really moved in my lips have been super dry. C.O. 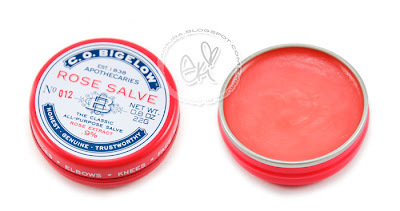 Bigelow's famous Rose Salve has been a favorite since the early days, due to its ability to care for lips and beautify skin. Emulsified with extra-soothing rose extract, which helps ease irritation and condition the skin. Petrolatum, Lanolin oil, squalane, jojoba esters, Rosa Canina Fruit Extract, gossypium herbaceum (cotton) seed oil, octyldodecanol, bisabolol, red 20 lake (CI 73360). but its not too strong of a scent so I can bear it, the tin says 9% Rose extract in this and the scent is from the actual rose. I applied this on my cuticles too works well! Very comparable to Smith's Rosebud salve! I LOVE the smell of the strawberry face scrub looks like strawberry yogurt yum cant wait to test it out!! ooOO i love the strawberry one! i just bought my sis a tin of it today. 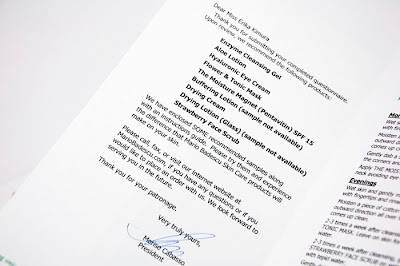 Ooo, I'm really tempted to go try the rose balm! Don't get to stressed now Eki love! I've seen that rose salve in Sephora but yet to try it. 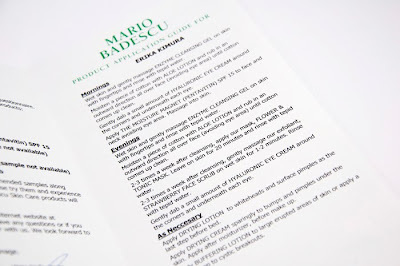 Thks for the review cause ur lips look very moisturized after applying it! 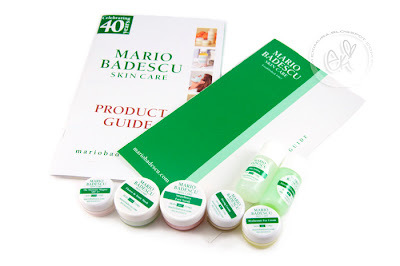 oh I didn'T know Mario Badescu does free samples! Filled my questionnary, but it does not say anywhere that I'll get anything...is it supposed to be like that? Hmm, I haven't tried any of the rosebud salves since the smell seems strong but I really love the Smith's Strawberry lip balm! Super soothing and very soft and moisturizing on. I wear it most nights before bed! ohhh i loveeee rosebud salves . theyve been on & off my fav list for soo long ! i use them on my elbows when they look dry and theyre so awesome used like that too ! I tried the Smith's balm in Anthropologie and really liked the effect.. I'm thinking of trying it but I have so many lip balms!! Haha.. Thanks for the review, your lips look so plump and moist after you put it on. I've been having severe chapped lips lately too.